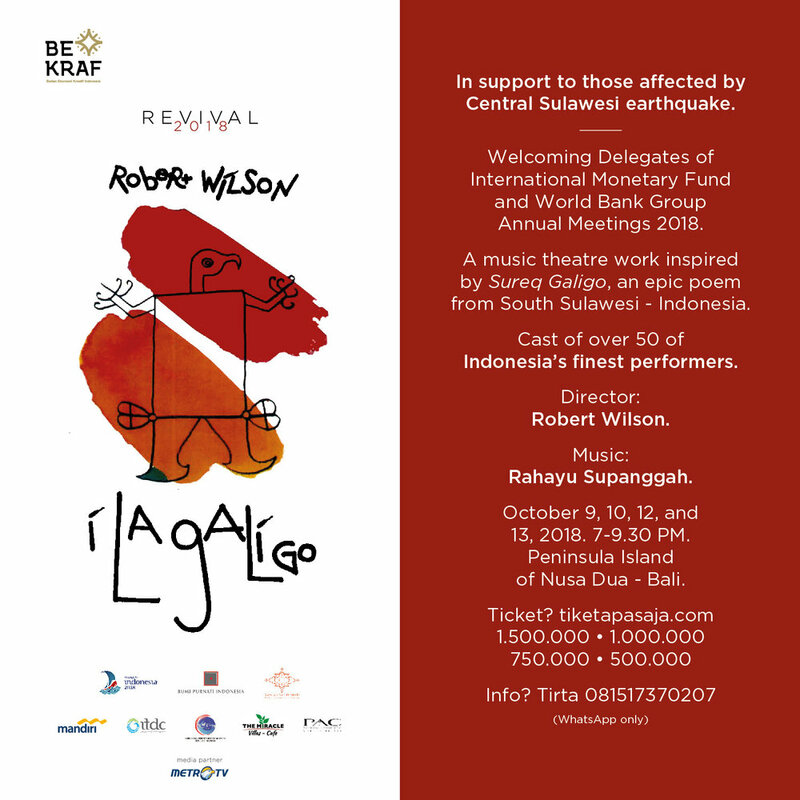 More than 14 years after its celebrated world première in Singapore, which was followed by an international tour, I La Galigo can now be seen again on the Peninsula Island of Nusa Dua, Bali. The work is based on Sureq Galigo, an epic poem from South Sulawesi about the creation of man, and features a cast of more than 50 performers and live musicians. Music by Rahayu Supanggah.